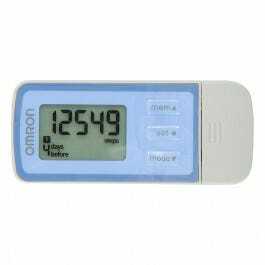 Combining all the activity-enhancing features of tri-axis technology with the Omron Fitness, this pedometer provides an engaging and information-driven way to improve your health. Use with OmronFitness.com, which is accessible & viewable on PC & Mac laptops/desktops and is viewable on tablets and smartphones. When you connect your pedometer to Omronfitness.com, you’ll be able to view your trends, track your goals and stay motivated as you improve your personal fitness.